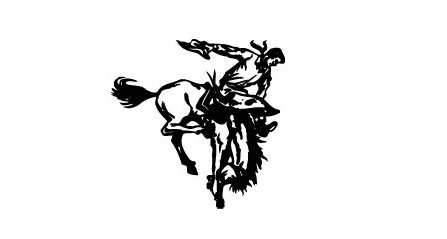 Cody-Kilgore Cowboys will take on Creek Valley tonight in D2-6 District Basketball finals in North Platte. KVSH radio will be broadcasting the game. Admission $5 adults – $4 students – No Conference passes may be used. Home Team: Cody-Kilgore Fans occupy west bleachers. The use of artificial noisemakers is prohibited. Megaphones are to be used by cheerleaders only. Bands should only play during time-outs and intermissions. Recorded music during warm-up time period is not allowed. Please inform your students to not stand, stomp, or jump on bleachers. We have designated student areas for home and visiting fans.